This DIY guide provides Information on how to wire and replace a light fitting in your home including safety tips, two and three way lighting and fitting ceiling lights. This project also includes a light fitting diagram for a ceiling rose. The first rule here is, when wiring a light fitting or chaging a light fitting, if you are in any doubt whatsoever, get an electrician – Electricity kills. See also, our lights and switches, our wiring in wall lights and also our electrical safety projects. The most common mistake made by people wishing to change their light fittings, eg bulbs for spotlights etc, is that they take down the existing light and ceiling rose without marking or taking note of where all the cables went. Then comes the mistake, they join all the reds together, then all the blacks, earths are connected, switch turned on and "PING" the fuse blows or the trip-switch flicks off. Why? Well, 99% of the time one of the black wires belongs to the switch cable that controls that light. Both wires, red and black, are live wires in a switch as you will see a little later. The black wire for the switch should have a little bit of red tape around it, or a little red sleeve on it. This makes the job of identifying the switch cable easy. If there is no such labeling, an indicator is necessary. Make sure you mark any wires and cables yourself when necessary. How Does the Lighting Work in Your House? Not as big a deal to sort out, but first it is important to understand how the lights work in your house. 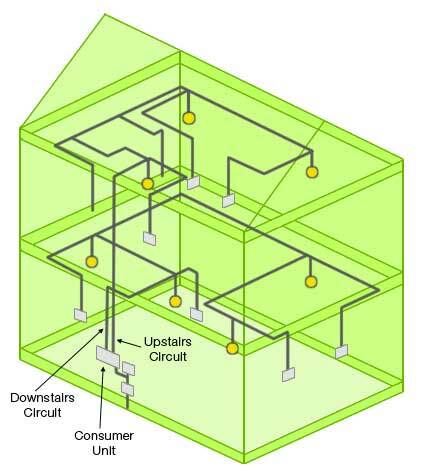 The diagram below shows the circuits involved. (Please note some older houses may be wired differently in junction boxes which will be located under the floor/loft, the principle is the same). Power comes into the house to your fuse board or consumer unit. The lights are fed from this via (generally) two circuits. One for upstairs lights and one for downstairs. Both of these circuits should be on 5 amp fuses or MCB’s (Miniature Circuit Breakers). This fuse, in theory, allows up to 12 100W bulbs to be used on that circuit, in practice no more than 8 are normally fitted. The cable runs from the consumer unit, to the first light fitting in the ceiling of that floor, it enters the ceiling rose where it is looped in and out to feed the next light, etc etc. At the same time a cable is connected into the ceiling rose to the switch that controls that light. With ordinary "one way" lighting, ie one switch controls only one light, the diagrams and explanations below apply. 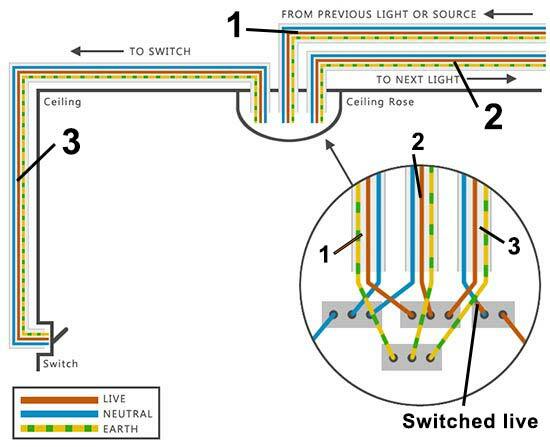 For two and three way lighting diagrams, which can be identified by additional yellow and blue wires within the lighting switch cables, follow the link. When you have removed your existing light fitting and are faced with a mass of cables hanging out of the ceiling, life is a little daunting…But it is not as complicated as it looks. You can see from the above that the loop wires (all wires in this kind of lighting circuit belong to the lighting "loop") are connected to terminal blocks. The live terminal is fed from the consumer unit and in turn gives live power to the other cables in the circuit, in this case 1 supplies the live power from the source, where it is taken by cables 2 and 3. The neutrals of cables 1 and 2 are joined together in the neutral terminal block, this is where the neutral side of any light fitting will go. Cable 3 is the switch cable. As you can see more clearly from our diagram in lights and switches this cable interrupts the live flow with a switch. The switch simply cuts off the live current. 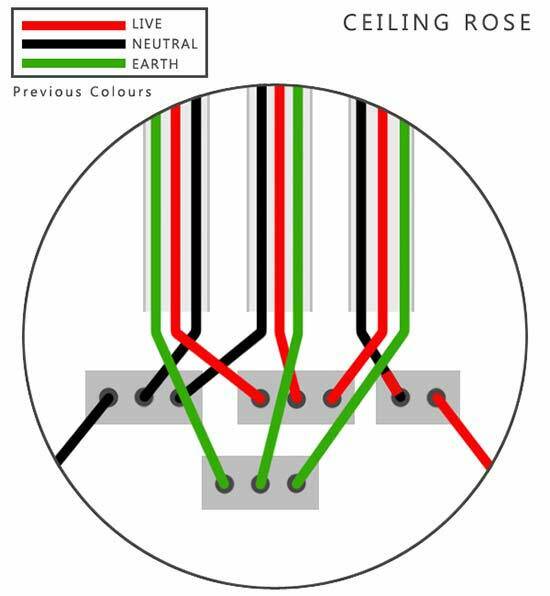 The red and black wire either side of the ceiling rose are coloured like this for clarity to show live and neutral. With your light fitting flex, they will be brown (LIVE) and blue (NEUTRAL). When you have removed your existing fitting, you will need to know which wires go to the switch. Hopefully, as explained above, they will be labeled with either a piece of red tape on the black wire, or a small red sleeve. If you have no indication whatever of which three (red, black and earth) wires form the switch cable then you will need a circuit tester. To use this device is not difficult but you must turn all the lighting power off first and take out the fuses so they cannot be turned on by accident. When the power is OFF and fuses out, turn off the light switch, ie make sure the switch is in the off position. Now it is a case of trial and error. 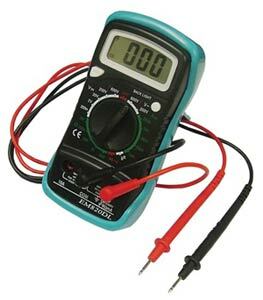 Hold the red and black terminals of your circuit tester to a red and a black wire that appear in the same cable. (Using the diagram above, this would mean either cable 1, 2 or 3. Then turn on the light switch (With all power off to the lighting circuits, there is no power to the switch). If you have connected to the switch cable, the circuit tester will indicate that you have completed a circuit. If not , it will not move and you try the next set of black and red wires that are in a cable together. When you have identified the switch cable, mark the black with some insulating tape and even put a piece of tape around the cable sheath so there can be no mistake. Ideally, your new light fitting will fit over your ceiling rose and there will be no need to take it apart. The live and neutral of the new fitting simply connect to the live and neutral the old fitting was removed from. If this is not the case, then we will, need to adapt the rose connections to suit the fitting you have. 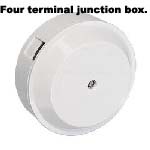 The easiest way to do that is by making all existing connections into cable connectors (minimum 5 amp) or a junction box, as shown below. The live cables will be joined as they were in the ceiling rose, as will the neutrals, and finally, but very importantly, the earths. With these connections made, the live, neutral and earth from your new light fitting can be connected. The base of most modern light fittings is big enough to conceal these new connections but occasionally one has to make a larger hole in the ceiling to push the junction box into. The light fitting is then screwed up as normal. Using the same numbers for the cables as above in the ceiling rose diagrams, this is how the junction box would be wired to replicate the circuit. The red tape on the switch live side of the circuit is shown. Good luck with your project and remember to stay safe. For regulations governing heights of sockets etc, please see our socket height information project.